Well, sports fans, it's time to let you in on what's been percolating this winter. 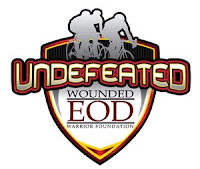 In addition to the Pan Mass Challenge, I plan to take on a second heavy fundraising event -- the Undefeated 2-Day Bike Ride -- a 2 day, 200 mile ride benefiting the Wounded EOD Warrior Foundation. He mentioned the EOD Ride for the Wounded EOD Warrior Foundation and asked me to consider riding... and I promised to look into it. Last fall, Will and I were on hand when Billy presented a check for $37 million dollars to the Dana Farber Cancer Institute. (One Ride, Thirty Seven Million Dollars.) This year, the PMC will hopefully raise another $40 million. I thought of the EOD Ride, and the $310,000 raised for the Wounded EOD Warrior Foundation -- such a fraction of the amount the PMC raises -- but equally as critical. 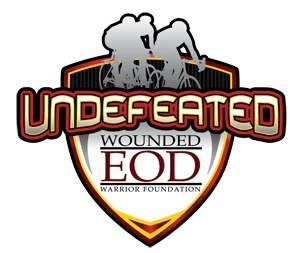 The Undefeated Two Day Ride raises money to help meet the needs our wounded EOD techs and their families may have -- beyond what the Department of Defense and Veteran's Affairs can cover. You all know I did get back on that bike to ride the PMC, (cast and all), and this Fall I hope to pay it forward by riding and raising money for the Wounded EOD Warrior Foundation. (Yes, in addition to the Pan Mass Challenge). I'm not riding several of the smaller rides this year, (Tour de Cure, Harpoon Point to Point, or Cycle the Seacoast, etc..) but will put all of my efforts into 6 letters -- PMC and EOD. I know I'm asking for a lot, -- really, I do -- but hope I can count on you for your support.